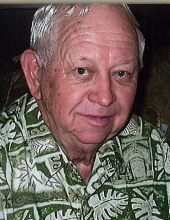 Robert W. Steffens, 84, of Girard, died at 10:40 p.m., Monday, March 18, 2019 at his residence. He was born August 6, 1934 in Girard, a son of Norman and Florence (Meyer) Steffens. Robert graduated from Girard High School in 1953 and Kansas State Teachers College in Pittsburg where he studied auto mechanics. He served in the US Army, receiving his basic training in 1957 at Ft. Leonardwood in Missouri before receiving his discharge at Ft. Bragg in South Carolina in 1961. Robert married Pearl (Russell) Smokewood in 1961 and they divorced. He married Dolly Yaeger on June 14, 2006 at Trinity Lutheran Church in Girard. She survives of the home. He grew up helping on the family farm and he continued to farm for several years. He also worked as a carpet installer for Sauer’s Department Store in Girard. He enjoyed woodworking, dancing, and spending time with Dolly. Robert was a member of Trinity Lutheran Church in Girard. Survivors, in addition to his wife, Dolly, of the home, are a son, Robbie Steffens of Burnsville, Minnesota; his step-daughters, Cathy Shaffer of Girard, Ruth Davis of Pittsburg, and Betty Short of Pittsburg; Robbie’s daughter, Amanda Steffens, and several grandchildren and great-grandchildren; his sister, Carolyn Cowan of Grove, Oklahoma. Robert was preceded in death by a son, Timothy Joe Steffens, on March 26, 1972; his brothers, Richard Steffens and John Steffens; his sister, Norma Steffens. Funeral services will be at 10:30 a.m., Saturday at Trinity Lutheran Church in Girard with Pastor Mark Wenzelburger officiating. Burial will be in Zion/Trinity Lutheran Cemetery at Brazilton. Memorials are suggested to Trinity Lutheran Church or Zion/Trinity Lutheran Cemetery and these may be left at the church or the Smith-Carson-Wall Funeral Home, 518 W St. John, Box 258, Girard, 66743. To send flowers or a remembrance gift to the family of Robert W. Steffens, please visit our Tribute Store. "Email Address" would like to share the life celebration of Robert W. Steffens. Click on the "link" to go to share a favorite memory or leave a condolence message for the family.